Our Indigenous Studies Program Summer School (ISP) is offered annually during two weeks in July. This is an opportunity for students who are often isolated from one another to gather, learn and worship together. It is also an opportunity for intensive course work for students in the Indigenous Studies Program M.Div by Extension. The Summer School serves people from a wide variety of educational backgrounds, with an international and largely Indigenous faculty. 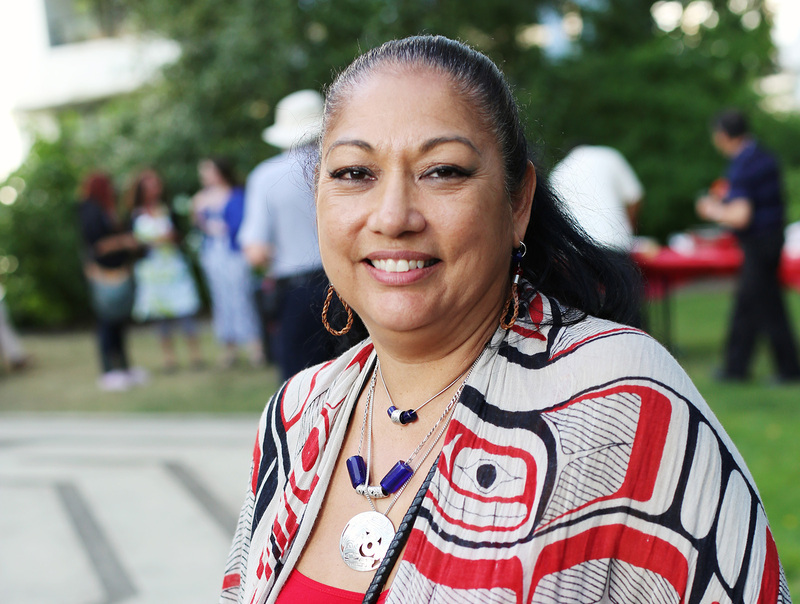 Indigenous Studies Program Summer School is holistic and interdisciplinary. Courses examine sacred scripture, theology and philosophy through the lens of indigenous thought. Courses achieve this by examining social data, literary-oral tradition, the artistic cultural aspects of Indigenous spirituality. Our array of courses offers a wide range of topics for a critical mind and a curious spirit. Be ready to embark on a journey of learning, healing and growth! Mandatory for all non-indigenous students – Indigenous students are welcome. Students taking M.Div lectures only, may obtain Con.Ed credit by selecting the “Con.Ed” option for their preferred course when completing the registration process. Courses can be taken for M.Div credit (3), ConEd. credit – or Certificate credit – (1.5), and Audit. Daily attendance and a final project are the requirements for M.Div credit. In order to receive ISP credit, students must attend 15 hours of class, and submit daily journals. Audit students should attend a minimum of 60% of lecture hours. Indigenous Studies Program Summer School courses may be taken for transfer credit. Please contact the Indigenous Studies Program office ([email protected]) to inquire about transferable degree credit. Please note that you can use your ISP Credits towards our new Indigenous Studies Program Certificate. A $35 (Cdn) non-refundable fee is due with your registration. Lunch is charged at $75.00 per person, per week, and will be added to your registration and tuition fees. The lunch plan is included in your registration package, Monday to Friday, at a cost of $75.00 per person, per week. Our ability to respond to specially dietary needs is limited. Due to space limitation, ISP won’t offer breakfast this year. Students may purchase breakfast tickets at Great Dane or Carey Centre. For those reserving accommodation with the ISP booking code, breakfast is included with your reservations. In the event of low registrations, some courses may be cancelled. Information on course cancellation will be available on our website in early June. The ISP Certificate is a non-degree program for students who are interested in deepening their understanding about how their Indigenous context impacts Christian faith and theological thought. As academic credit is not offered, an undergraduate degree is not required for enrollment. The Certificate is granted at VST to students who successfully complete 12 units of study in Continuing Education (ConEd) and ISP-M.Div courses during summer school or by extension.